IREM® is an international community of real estate managers united to advance the profession of real estate management. We thrive because our members reflect the many facets of our industry - commercial and residential, national and international. For 85 years IREM members have been sharing all they know about property and asset management with each other, and it’s available to you. With an IREM membership you’ll find your home for education, support and networking to help you work smarter, achieve more, and advance on the path to success. IREM resources exist with one goal in mind – to make a difference in the careers of those who manage. So says Richard Muhlebach, who has just updated (with Alan A. Alexander) the book on shopping center management and leasing for IREM. Here's how the retail evolution will impact property managers and owners. The Institute of Real Estate Management's Accelerator Webinar does a deep dive into the relationship between demanding clients and third-party managers. According to this panel at the IREM Global Summit, the change in the industry has asset managers expecting more from property managers than just steadyand stable. Diversity is essential to all real estate organizations and is simply good business—and that includes not just racial and ethnic diversity, but diversity based on gender and sexual orientation as well. The nature of work is changing, and that's not just a tech thing. One expert on the subject believes that those managers who don't recognize the changes taking place around them are traveling a road to irrelevance. “When a shopper gets into the car, they need to think of our shopping center first.” That's a strategy worked best at Federal Realty by a close union of asset and property managers, says Federal's Bryan Furze. It's all about customer experience in the office environment today. What's more, you needn't break the bank to provide it and keep your occupants happy. The need for leadership development has never been more prevalent than it is today, and companies need to embrace diversity as a business imperative. That's the message of one timely session at IREM's upcoming Global Summit. It's been a year of expansion for the Institute of Real Estate Management, and Don Wilkerson has the evidence to prove it. Despite what you may have read, most property managers embrace high standards of ethical behavior. It's not easy, but it is what makes a successful leader, as IREM's Joe Greenblatt points out. How does a property management company succeed? IREM past president Joe Greenblatt, CPM, provides answers about the modern definition of leadership—which extend far beyond the realm of property management. Transitioning from a property management career into asset management can be done. But it's not necessarily a smooth transition, according to IREM consultant Dustin Read. Making young people or those in other careers aware of the value and stability of property management—and providing the proper education to ready them—are key in drawing in future candidates, IREM's Blaire Hoffman tells GlobeSt.com. What can real estate learn from some well-known disruptors? An IREM Global Summit panel takes a look. Leaders gathered in Chicago last week to help real estate practitioners get a handle on all the changes shaking the industry. By staying informed on this technology, property managers can bring ideal applications into their organization that will increase their own contributions as well as the revenue and efficiency of their organizations, Yardi's Matt Eggers tells GlobeSt.com. From IoT to artificial intelligence, property managers need to be tapped into the latest technologies in order to extract more value for owners and perform more efficiently, Megafincas' Pepe Guitierrez tells GlobeSt.com in this IREM Global Summit preview. Being aware of the challenges, opportunities and pitfalls in affordable-housing property management is the key to profitability and success, NAR's Megan Booth tells GlobeSt.com in this IREM Global Summit preview. There's a right way and a wrong way for property managers to develop a relationship with tenants through social-media content. Eric Brey, PhD, discusses both and tells GlobeSt.com why this is important to commercial real estate in this IREM Global Summit preview. The fracking, or sharing economy, conversation is powerful because it looks at how to unlock the value in all the underutilized or dark time in real estate, MIT's Steve Weikal tells GlobeSt.com in this IREM Global Summit preview. IREM's Income/Expense Analysis program allows owners and property managers to have data at their fingertips that can serve as a benchmark against which to compare their own operating experience, Vera McPherson and Nick Harris tell GlobeSt.com. From assembling funds to lack of expertise with all building-system upgrades to getting owner buy-in, the challenges are many. 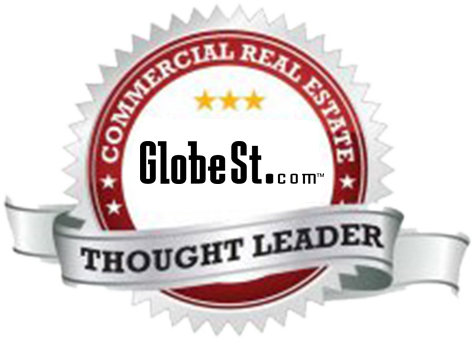 GlobeSt.com speaks with two experts from IREM on how to overcome them. ATLANTA—In addition to helping Baby Boomers pass the torch to Millennials, leadership training creates independent thinkers who look beyond short-term goals toward more lasting outcomes, IREM's Debbie Phillips tells GlobeSt.com. What Makes a REME Winner a Winner? SAN DIEGO—From class-A service to a focus on tenants and their wellness, REME winners strive for excellence. GlobeSt.com spoke EXCLUSIVELY with this year's winners to find out their secrets to success. SAN DIEGO—Remaining an employer of choice for CRE talent requires focusing on flexibility, a strong positive culture and the human touch in all areas of the organization, panelists say during the IREM Fall Conference Industry Leaders Luncheon here. What's the Secret to a Successful Property Management Selection? SAN DIEGO—Experience is just one of the most important factors when selecting a property manager, particularly experience that is asset-type and market specific, C&W's Mike Lanning tells GlobeSt.com in this EXCLUSIVE IREM Fall Conference preview. For over 85 years, IREM members have made us the world’s strongest voice for all things real estate management. Almost 20,000 leaders in commercial and residential management call this home for education, support and networking. Our CPM®, ARM®, ACoM and AMO® credentials are internationally recognized symbols of ethical leadership and a well-managed property. And our tools deliver decades of on-the-job know-how to help members get even better at what they do. Put simply – IREM and its members are here to elevate the profession. If you know real estate management, come get to know us.